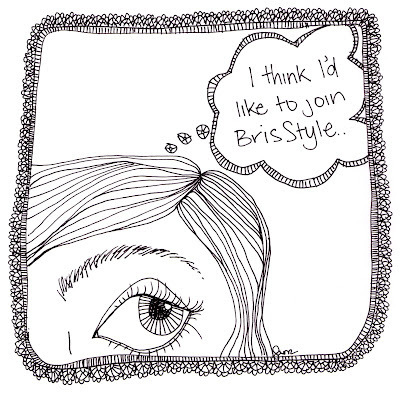 Did you know you can now join BrisStyle regardless of whether or not you have an Etsy shop, how cool and super inclusive is that! Check out the details on this post. Plus you can learn to crochet this month at the first Brisbane Brown Owls meet up for 2012. The details are here and to become an owl (it's free!) all you need to do is email brisbanebrownowls@gmail.com and say I wanna be an Owl! Rebecca did you draw that first picture of part of the lady yourself?